Founded in 1934 this is a family club with around 200 members. The clubhouse was extensively renovated in 2004. Visitors are most welcome and a limited number of visitor berths are available. Showers and toilets are also available to visitors in the summer. The clubhouse, with bar and snack meals, is open daily in the summer and at weekends during the winter. ISA Junior training courses and powerboat courses take place from late June until mid-August. 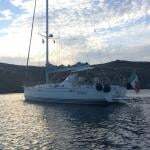 Yachtmaster Coastal and Offshore shorebased courses are available during the winter. Located Halfway between Malahide and Swords, near the main Belfast road. Season runs from March to December. 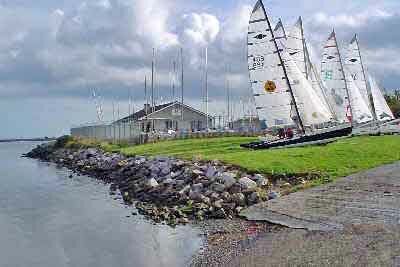 Very active dinghy programme – and a very active club for both the young and the young at heart! We have grown from humble beginnings, operating from a cargo container, to become a well established club boasting four national champions in different fleets in the one year!! Racing every Sunday at 2pm and Wednesdays at 7.30. Friendly family Orientated club. New members always welcome. Donegal Bay Rib Club Ltd was founded in 2008. It is a non-profit making organisation and a company limited by guarantee registered at Companies Office, Dublin. The Club comprises a group of RIB (Rigid Inflatable Boat) enthusiasts and boat owners from the Donegal Bay area. At present it has a membership of aproximately 50 persons and is very much family orientated. 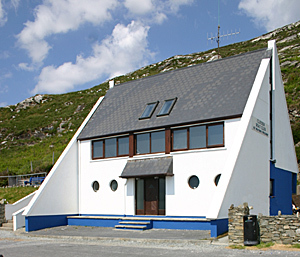 The Club is affiliated to the ISA (Irish Sailing Association) and operates mainly from Creevy Pier and Ballyshannon, Co Donegal with weekly boat trips to places such as Mullaghmore, Innis Murray Island, Inniscrone, Killybegs, Inver, Slieve League, Arranmore Island, Burtonport and so on. In 2008 our annual Rib Raid took us to Islay in Scotland and this year we went to the Isle of Man. The 2009 'expedition' saw two baots with 10 crew travel to Fort William, Scotland, a round trip of about 220 miles. 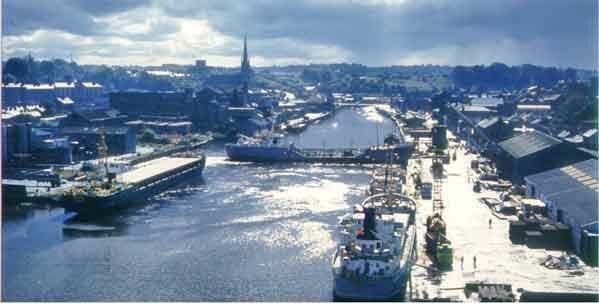 Ballina (Irish: Béal an Átha or Béal Átha an Fheadha, lit. 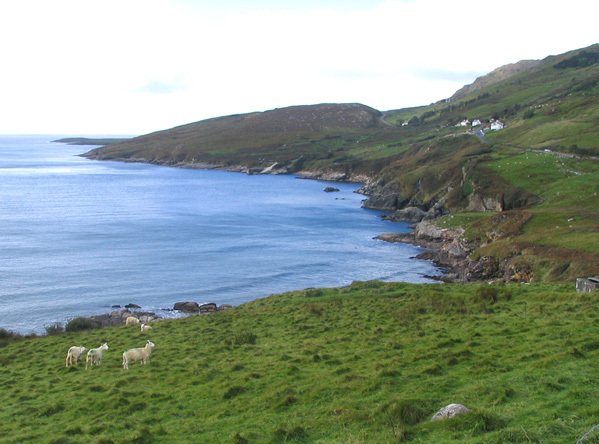 mouth of the ford) is a large town in north Co Mayo in Ireland. It lies at the mouth of the River Moy near Killala Bay, in the Moy valley and Parish of Kilmoremoy, with the Ox Mountain range to the east and the Nephin Beg mountains to the west. The town occupies two Baronies; Tirawley on the west bank of the Moy River, and Tireragh on the east bank. The recorded population of Ballina's urban area is 10,409. Census 2006 figures released by the Central Statistics Office in September 2007 showed that Ballina had the highest rate of unemployment amongst large towns in the Republic of Ireland. Some 15.8% of Ballina's population was out of work when the 2006 census was taken. Unlike neighbouring towns such as Castlebar and Sligo, it is claimed that Ballina suffered from a lack of government investment for many years because it was not effectively represented in Dail Eireann. According to Encyclopaedia Britannica the first signs of settlement on the site of the town dates from around 1375 when an Augustinian friary was founded. Belleek, now part of the town, pre-dates the town’s formation, and can be dated back to the late 15th century, or early 16th century. However, what is now known as Belleek Castle was built in 1831. Ballina was officially established as a town in 1723 by O'Hara, Lord Tyrawley. The Belleek estate once occupied lands from the Moy River to the modern-day Killala Road. This included part of the ‘Old French Road’ which General Humbert marched on from Killala, and beside part of which in the Killala Road-Belleek area was Belleek’s reservoir – presumably destroyed in the construction of Coca-Cola’s ‘Ballina Beverages’ factory; the ‘Old French Road’ is now closed off at that point, with what amounts to diversion road signs claiming Humbert marched where he did not. Ballina is located on the west side of the County Mayo - County Sligo border. Part of what is now the town was once (prior to the Local Government Act, 1898) part of County Sligo, with the border for the most part once being the River Moy, east of which was in Sligo, including Ardnare], and Crockets Town (the Quay). Port of Ballina, River Moy Harbour Commission, The Quay, Ballina, Co. Mayo. Tel: 096 21208. Arklow (In Irish: An tInbhear Mór, meaning 'The great estuary'), also known as Inbhear Dé from the Avonmore river''s older name Abhainn Dé, is a historic town located in Co. Wicklow on the east coast of Ireland. Founded by the Vikings in the ninth century, Arklow was the site of one of the bloodiest battles of the 1798 rebellion. 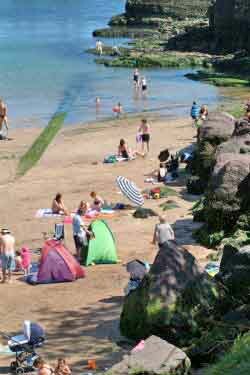 It is now a thriving commuter town with a population of 11,759 at the 2006 census, making it the third largest town in the county. Arklow is situated at the mouth of the River Avoca (formerly Avonmore), the longest river entirely within Co. Wicklow. The town is divided by the river, which is crossed by the Nineteen Arches bridge, a stone arch bridge linking the south or main part of the town with the north part, called Ferrybank. The Nineteen Arches bridge is the longest hand made stone bridge in Ireland and is considered a famous landmark. The plaque which is situated on the south end of the bridge is testimony to this. The town's English name derives from Arnkell's Lág (Arnkell was a Viking leader; a 'lág' (low) was an area of land). Its Irish name means the large estuary. Historically it was a major seafaring town, with both the shipping and fishing industries using the port, with shipbuilding also being a major industry. The town has a long history of industry, in particular the chemical industry. After the arrival of the Anglo-Normans, their leader Theobald Wawlter, ancestor of the Earls of Ormonde, was granted the town and castle of Arklow by King Henry II. In 1264 the Dominicans were granted a large tract of land, which is now known as Abbeylands, and they built an abbey, which became known as the Priory of the True Cross or Holy Cross. Some time after 1416, the Manor of Arklow came into the control of the MacMurrough Kings of Leinster, possibly after the death of the 4th Earl of Ormonde in 1452. In 1525, Muiris Kavanagh (McMurrough, King of Leinster 1522–31) returned the manor and castle of Arklow and its lands to his nephew Piers Butler, the Earl of Ormonde. During the Wars of the Three Kingdoms in September 1649, Oliver Cromwell arrived at Arklow on his way to Wexford and took the surrender of the town. In 1714 James, Duke of Ormonde, sold the Manor of Arklow to John Allen of Stillorgan, County Dublin. In 1750 Allen’s eldest granddaughter Elizabeth Allen married John Proby who was raised to the peerage in 1752 as Baron Carysford of Co Wicklow, and came into possession of the Arklow Estate. On June 9 1798, the town was the scene of one of the bloodiest battles of the 1798 rebellion when a large force of Wexford rebels attacked the town in an attempt to spread the rising to Dublin but were repulsed by the entrenched British forces with huge slaughter. Arklow's proximity to Dublin and its consequent attractiveness to commuters have led to much recent expansion. The town is situated near the N11 route from Rosslare to Dublin, as well as having rail connections provided by Iarnrod Eireann along the same route, including commuter services in and out of the capital. There is also a connection available to and from Waterford Monday to Friday. Arklow railway station opened on 16 November 1863. Arklow is served by three Bus Eireann routes. These consist of the 002 service which operates between Dublin Airport and Rosslare Harbour, day and night, the 006 service which links Dublin, Arklow,New Ross and Waterford, and the 133 service, which operates between Arklow and Wicklow via Avoca. In addition, Wexford Bus operates several services day and night linking Arklow with Dublin Airport, the bus stop for which is located on the old Dublin road just off the bypass junction at the north end of the town. The whole idea of winterisation can be about as appealing as having a tooth filled – and possibly as expensive – but there’s no substitute for being prepared, and a reluctance to cough up the necessary budget can be a false economy in the long run. Of course, winterisation is not a word that will stir much enthusiasm in the breast of the average boat-owner, bringing home the fact that summer is over and the evenings will now close in with unprecedented speed. However, the W-word could be quite painless, even fun, if you are into that sort of thing. And most sailors love their boats – it being a source of pride and pleasure – and want to keep them in top condition. 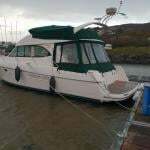 This Afloat guide to winterising your boat (see menu on right hand side of page) will steer you towards those who can do the job for you, or at least give you useful advice so that you don’t end up standing in the dark, cold, wet, and frustrated, with oil on your clothes and an engine strewn all over the driveway. It may be true that in the depths of winter lies an invincible summer. The South Meath Jet Ski Club was originally formed by a group of PWC and Powerboat enthusiasts from the village of Longwood in south county Meath. The Club's goal is primarily to protect the sport that our members have enjoyed for many years. The club was affiliated to the ISA in December 2008 and an active working relationship is now in place. To date we have held a number of events, which you can read about on our website. We are looking forward to working with, and enjoying the water, with all our new friends in the PWC community. Please do contact us if you would like to know more.